In a distant land, many years ago there rose a great and wealthy city. It’s name, now forgotten by most, was Hermagor. Commerce was the source of its richness, because from all its territory men, artisans, and adventurers brought to the city all kinds of merchandise to sell there: weapons, ancient books, precious relics, and the rare dragon eggs. In this city, one can buy and exchange almost everything. This made Hermagor famous and merchants can from far and wide to buy and sell all kinds of goods at the market, Some even undertook perilous adventures to acquire especially rare utems. They criss-crossed this wealthy region, creating new paths and roads, adding markets to towns, but always with the aim to become wealthy! 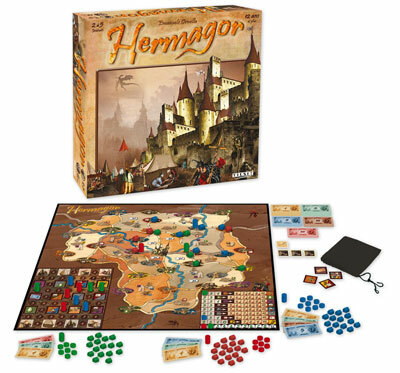 Add a Review for "Hermagor"